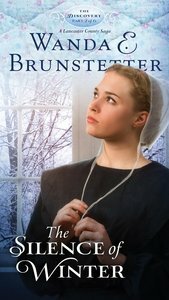 Book 2 of an exclusive 6-consecutive-month release Amish serial novel. New York Times Bestselling author, Wanda E. Brunstetter weaves a compelling love story brilliantly mingled with an unexpected twist. In part two of The Discovery--A Lancaster County Saga, Meredith Stoltzfus anxiously waits to hear that Luke has arrived safely in Indiana for a new job opportunity...but will Luke's call ever come? About "The Silence of Winter (#02 in The Discovery Series)"